Nostoi. 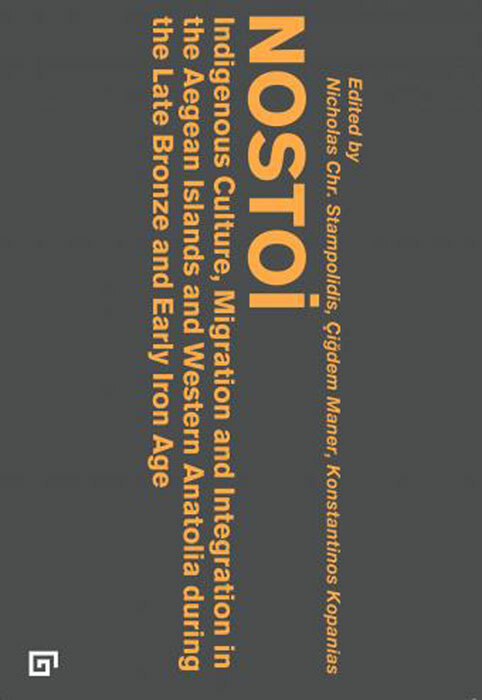 Indigenous Culture, Migration and Integration in the Aegean Islands and Western Anatolia during the Late Bronze and Early Iron Age is presenting one comprehensive volume with papers discussing various aspects of the intercultural contact between West Anatolia and the Aegean during the Late Bronze Age and Early Iron Age. The conference proceedings are focusing on the various Anatolian and Aegean cross-cultural “interfaces”, the archaeological testimonies of the “indigenous” population, the impact of the Hittite, Mycenaean and Ionian migration movements, on the pre-existing population, as well as inter-cultural and cross-cultural mingling of the Aegean and Anatolia or vice versa.